Augusta Ada King-Noel (1815-1852), also known as the Countess of Lovelace or Ada Lovelace, was a talented mathematician and is considered to be one of the first programmers. Ada’s upbringing was not customary for a girl belonging to the aristocratic society in the 1800's. She was taught math and science at her mother's insistence, subjects that were not standard for women to learn. 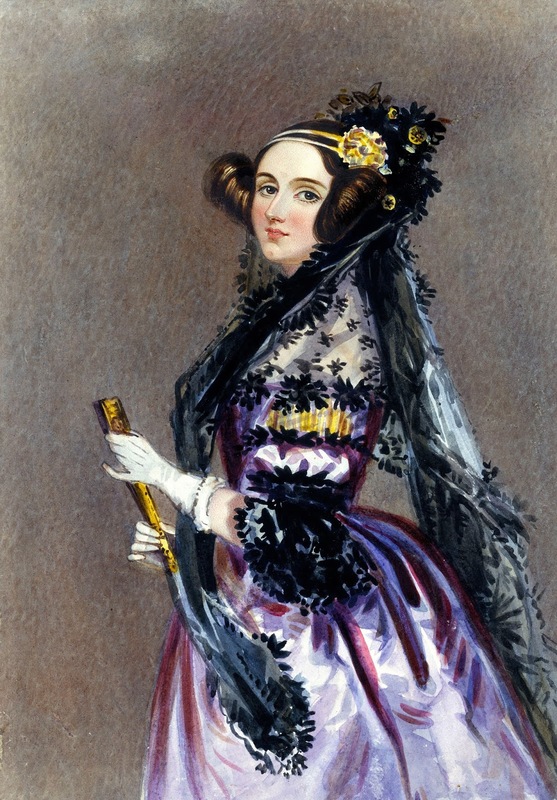 Ada became friends with Charles Babbage (a mathematician and inventor) when she was a teenager. Babbage became a mentor to Ada and through him, Ada began studying math with a professor of the University of London. Later, Ada was asked to translate an article on Babbage's invention that had been written by Italian engineer Luigi Federico Menabrea for a Swiss journal. She translated the original French text into English and added her own ideas on the machine, her ideas (notes) were three times longer than the original article. Ada theorized a method for the engine to repeat a set of instructions (known today as looping) and thus she is often considered to be the first computer programmer. In 1953, her notes were brought to light by B.V. Bowden, who republished them in Faster Than Thought: A Symposium on Digital Computing Machines. In 1980, the U.S. Department of Defense named a new computer language "Ada," after her.